Why Won't My Dryer Start? If your dryer won't start, you can troubleshoot the problem to determine whether you need to hire a repairman. Some repairs can be done without help, while others are trickier and may require a professional. Start with the most obvious possible causes and work your way up. First make sure the dryer is plugged securely into the wall, not via an extension cord. 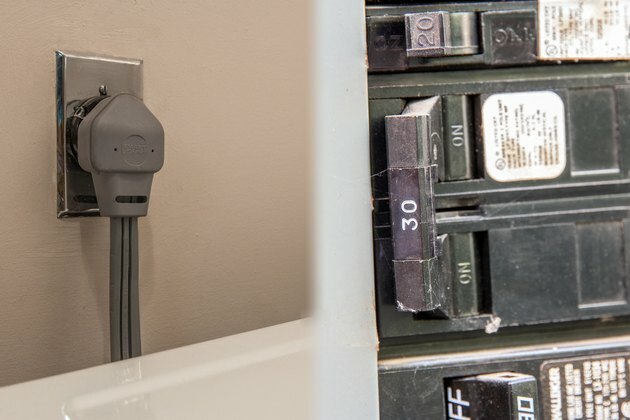 Check your circuit breaker panel or fuse box to make sure the off switch hasn't been triggered or a fuse hasn't blown. If there is a wall switch that controls power to the outlet, make sure it's on. Next, unplug the dryer and plug in something else to verify that the outlet is receiving power. If the power is on and working, test the dryer components. For most of these tests, you will need to know how to use an ohmmeter to check continuity. Leave the dryer unplugged while testing, and label each wire so you'll be able to put it back together properly. Test the door latch. If it won't catch, that could be the answer. If the door closes securely, check the door switch next. The door switch turns the dryer off when the door is open. 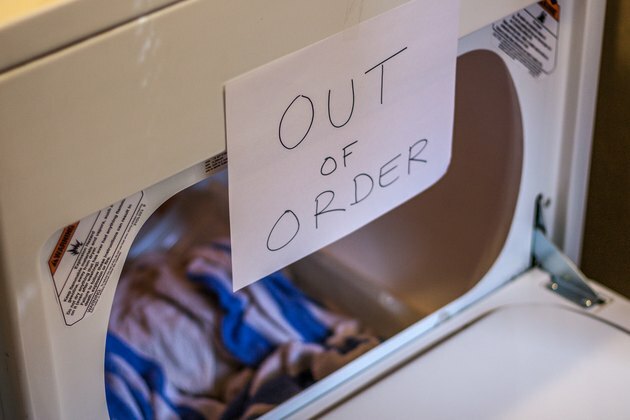 If it's not working, your dryer won't start. It will be located in the front panel near the door opening. Remove it and test with the ohmmeter. If it's good, replace it and move on. The start switch is another common reason dryers won't start. Remove the screws at either end of the control panel and flip it forward. You may have to remove the endcaps first. 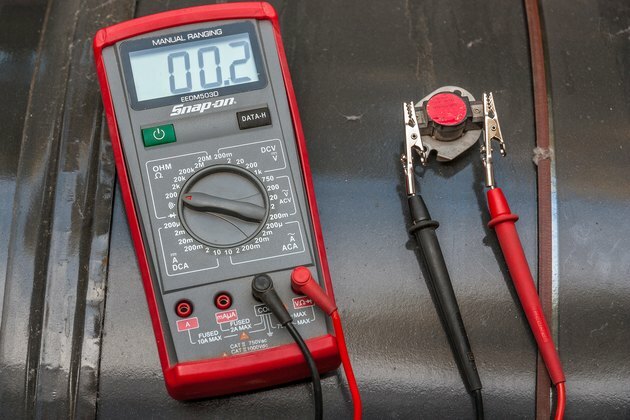 Remove the start switch and test with the ohmmeter. If the switch is good, put it back together and move to the back of the dryer. Remove the back panel from the dryer and set aside. Each model is different, so check with the manufacturer to determine how to open yours. Once you have the panel open, the first thing to check is the thermal fuse. This is a small unit attached to the exhaust duct of most dryers that is designed to blow if the dryer overheats. Test the wires using the ohmmeter. If the thermal fuse is blown, you should also consider replacing the thermostat. The thermostat will be attached to the ventilation system. Remove it and test the wires with the ohmmeter. 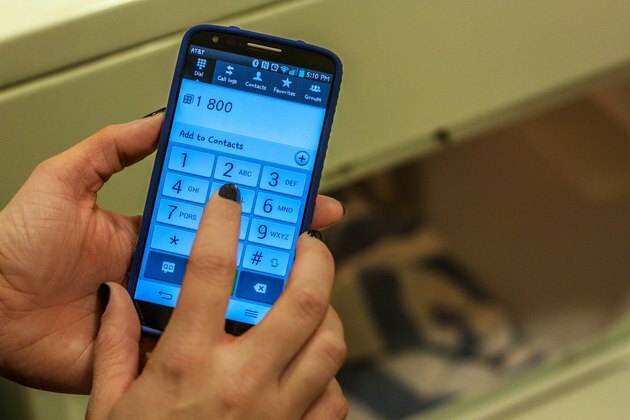 If it's good, it's time to call a repairman. Dryer timers rarely malfunction, and this is where testing gets tricky. The timer may be located in the front panel or in the back, and is part of a timing assembly. 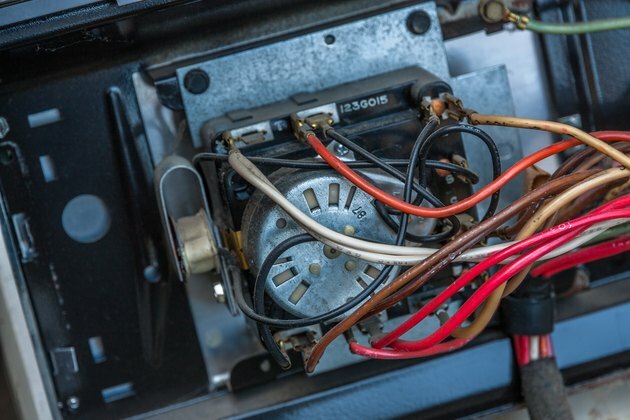 While it is possible to disassemble the components, test and replace the timer motor, it's better to call a repairman. The motor is the most costly part of the dryer. If the motor is burned out, the repair can cost several hundred dollars. DIY or call a professional? Most dryer components are inexpensive, and repair is uncomplicated. 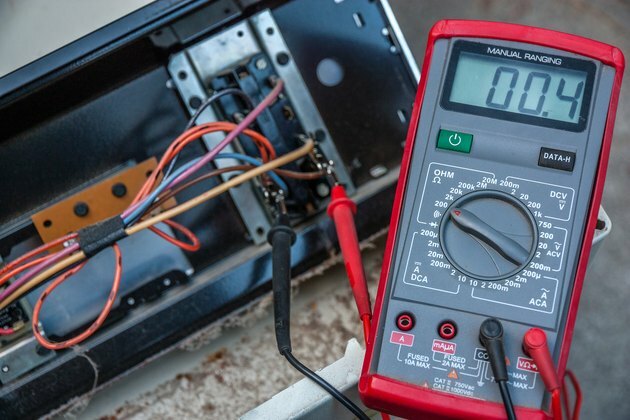 If you're comfortable with doing electrical repairs, there's no reason not to do most repairs yourself, and there are plenty of tutorials online. But the motors are part of assemblies, making repair more difficult and, in some cases, more physically challenging. For a motor repair, unless you're experienced, get professional help. Sherry Gray started her writing career in 2010 when the company she worked for as a web developer began to fail. In college she majored in English, taking every writing and literature course available plus advertising and business. Gray feels finally putting her education to work was a great career choice. What Is the F1 Code for a Kenmore Dryer?